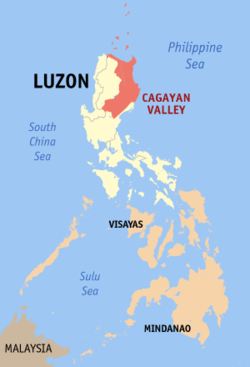 Cagayan Valley (Ilocano: Tanap ti Cagayan; Ibanag: Tana' nak Cagayan; Filipino: Lambak ng Cagayan) (designated as Region II) is an administrative region in the Philippines located in the northeastern portion of Luzon. 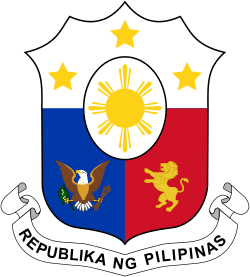 It is composed of five provinces: Batanes, Cagayan, Isabela, Nueva Vizcaya, and Quirino. 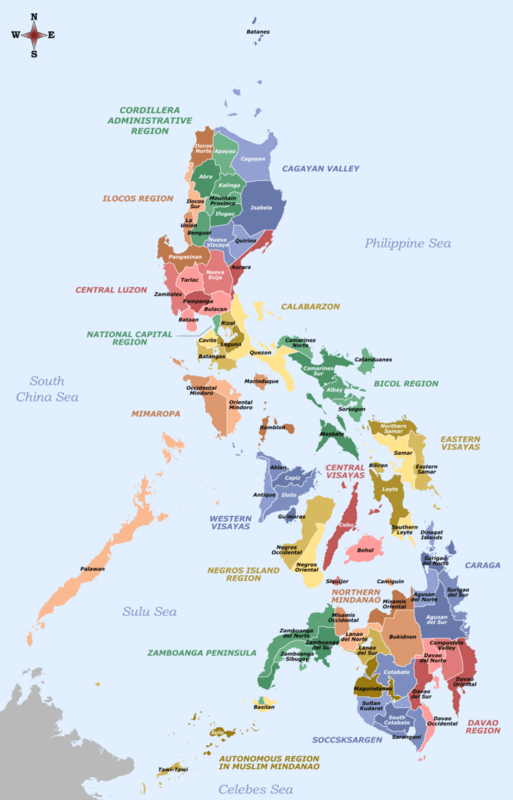 The region has four cities: Cauayan, Ilagan, Santiago, and Tuguegarao. Most of the region lies in a large valley in northeastern Luzon, between the Cordilleras and the Sierra Madre mountain ranges. The eponymous Cagayan River, the country's longest, runs through its center and flows out from its source in the Caraballo Mountains in the south to the Luzon Strait in the north, in the town of Aparri, Cagayan. The region encompasses the outlying islands of the Babuyan and Batanes to the north. 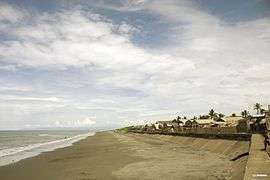 Cagayan Valley is the second largest region of the Philippines in terms of land area. Archaeology indicates that Cagayan has been inhabited for half a million years, though no human remains of any such antiquity have yet appeared. The earliest inhabitants are the Agta, or Atta, food-gatherers who roam the forests without fixed abodes. A large tract of land has lately been returned to them. The bulk of the population are of Malay origin. For centuries before the coming of the Spanish, the inhabitants traded with Indians, Malays, Chinese, and Japanese. In the nineteenth century the prosperity found in tobacco cultivation caused many Ilokano to settle here. Tobacco is still a major factor in the economy of Cagayan, though a special economic zone and free port has been created to strengthen and diversify the provincial economy. 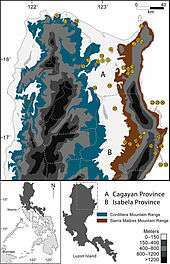 During Spanish times Cagayan Valley had a larger territory than what it has today. 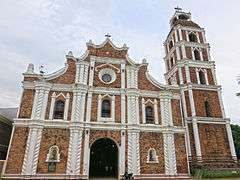 It included the territories of the above-mentioned provinces and the eastern parts of the Cordillera provinces of Apayao, Kalinga, Ifugao and Benguet. 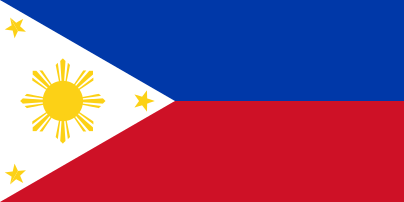 As the historian and missionary Jose Burgues, said, "The old Cagayan Valley comprises the province of Cagayan, Isabela and Nueva Vizcaya as well as the military Districts of Apayao, Itaves, Quiangan, Cayapa and Bintangan, plus the area of the Sierra Madre to the Pacific Ocean in the said trajectory." During World War II at Balete Pass in Nueva Vizcaya, the retreating Japanese under General Tomoyuki Yamashita dug in and held on for three months against the American and Filipino forces who eventually drove them out; the pass is now called Dalton Pass in honor of General Dalton, USA, who was killed in the fighting. 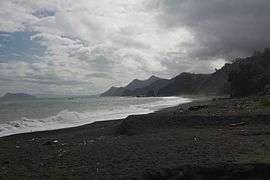 Cagayan Valley is the large mass of land in the northeastern region of Luzon, comprising the provinces of Cagayan, Isabela, Nueva Vizcaya, Quirino, and the Batanes group of islands. It is bordered to the west by the Cordillera mountain range, to the east by the Sierra Madre, to the south by the Caraballo Mountains, and to the north by the Luzon Strait. 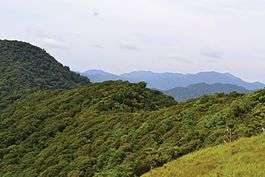 The region contains two landlocked provinces, Quirino and Nueva Vizcaya, which are ruggedly mountainous and heavily forested. Nueva Vizcaya is the remnant of the southern province created when Cagayan Province was divided in two in 1839. They are ethnically and linguistically diverse, with a substrate of Agtas, Negritos who are food-gatherers with no fixed abodes, overlaid by Ilongots and others in a number of tribes, some of whom were fierce head-hunters (they have given up the practice), with the latest but largest element of the population being the Ilocanos, closely followed by the Ibanags. Cagayan Valley comprises five provinces, one independent city, three component cities, 89 municipalities, and 2,311 barangays. • Figures for Isabela include the independent component city of Santiago. 1 Santiago City is administratively and legally independent from the province of Isabela as stated in Section 25 of the LGC. The province of Isabela and the city of Santiago are notably the most progressive province and city in Cagayan Valley, respectively. Isabela was the Top 10 Richest Province in the Philippines in 2011, being the only province of Northern Luzon to be included in the list. In 2013 and 2014, two of the most dominant mall operators in the country, Robinsons Land and SM Prime strengthened their presence in the region with the opening of its pioneer malls, the Robinsons Place Santiago in Santiago City and the first SM Supermall in the region, the SM City Cauayan in Cauayan City. The two companies is set to further penetrate the retail industry in the region by constructing three more malls, the Robinsons Place Tuguegarao, Robinsons Place Cauayan and SM Center Tuguegarao, respectively. 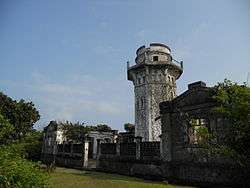 Cagayan has several attractions which include beaches, swimming, snorkeling, skin-diving, fishing in the river and the sea, hiking in primeval forest, mountain-climbing, archaeological sites, the collection of the provincial museum, the Callao Caves, and many churches. The Cagayan Economic Zone Authority (CEZA) is in Santa Ana, Cagayan. On January 11, 2008, the Cagayan Bureau of Fisheries and Aquatic Resources (BFAR) stated that tilapia (species of cichlid fishes from the tilapiine cichlid tribe) production grew and Cagayan Valley is now the Philippines’ tilapia capital (Saint Peter’s fish). Production supply grew 37.25% since 2003, with 14,000 metric tons (MT) in 2007. The recent aquaculture congress found that the growth of tilapia production was due to government interventions: provision of fast-growing species, accreditation of private hatcheries to ensure supply of quality fingerlings, establishment of demonstration farms, providing free fingerlings to newly constructed fishponds, and the dissemination of tilapia to Nueva Vizcaya (in Diadi town). Nueva Vizcaya Governor Luisa Lloren Cuaresma entered into similar aquaculture endeavors in addition to tilapia production. Isabela province is the richest in harvest among the other provinces in Region 2. ↑ "Profiles". Department of Trade and Industry. Retrieved 6 March 2016. The region is hailed as the “Tilapia Capital of the Philippines” The main crops are rice, corn, and tobacco. Fishing is prevalent in the coast of Cagayan, Isabela, Batanes and Magat Dam in Isabela. ↑ "List of Regions". National Statistical Coordination Board. Retrieved 9 January 2011. ↑ "PSGC Interactive; List of Provinces". Philippine Statistics Authority. Archived from the original on 21 January 2013. Retrieved 29 March 2016. ↑ "PSGC Interactive; List of Cities". Philippine Statistics Authority. Archived from the original on 29 April 2011. Retrieved 29 March 2016. ↑ "Republic Act No. 7160 LOCAL GOVERNMENT CODE OF 1991". The LawPhil Project. Retrieved 5 November 2013. ↑ "Population and Annual Growth Rates for The Philippines and Its Regions, Provinces, and Highly Urbanized Cities" (PDF). 2010 Census and Housing Population. National Statistics Office. Archived from the original (PDF) on 28 September 2013. Retrieved 9 August 2013. ↑ Top 10 Highest earning Philippine province, Nobert Bermosa website, retrieved 06-17-2012.